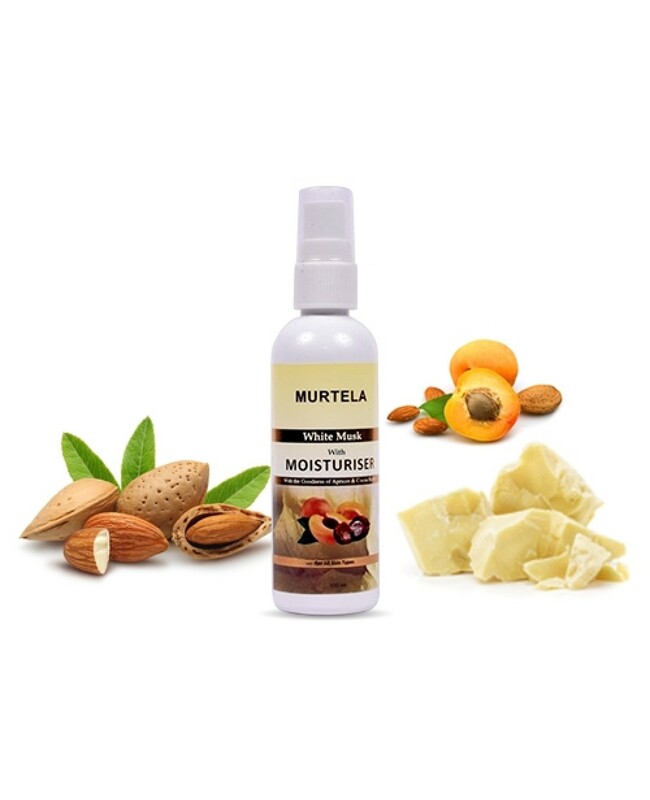 Mositurize your face and skin with the goodness of coca butter, apricot, aloe Vera, ensure optimal hydration,present in Murtela White Musk Moisturier. Just Apply all over the face and neck and see the difference from Day 1. For best effective results Use white musk moisturizer regularly morning and evening. It consists of aqua, stearic acid, cetyl alcohol, glycerol mono sterate, bees wax, coco butter, propyl paraben, methyl paraben, almond oil, apricot oil. which provide best skin nourishment.